The Brewers Arms styles itself on a traditional English pub and is a welcoming place for locals and visitors alike to catch up and enjoy a drink and meal. 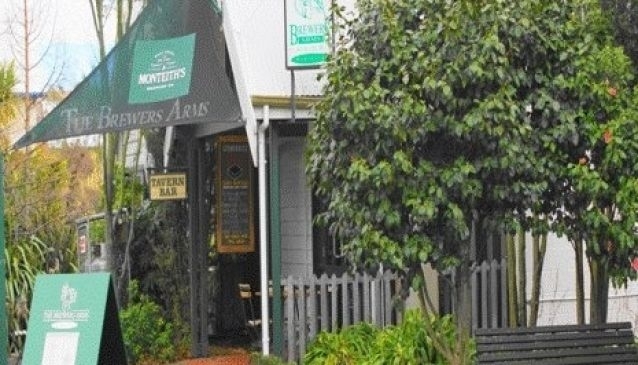 Located on Papanui Road in the suburb of Merivale, the tavern has a policy of no loud music, does not feature gaming machines or pool tables, but instead focuses on quality drinks, food, and a friendly atmosphere to relax with friends. In summer, sit outside in the garden by the pond while during the colder winter months find a comfy seat next to the log fire. The food counter service offers an extensive menu covering classic pub fare from classic all day breakfast, to homemade frittata, fish of the day, burgers and pasta of the day. The stonegrill menu offers a selection of 'prime cuts' of T-bone steak, Porterhouse steak, fillet of beef, kangaroo, venison fillet, pork fillet and 'surf and turf'.